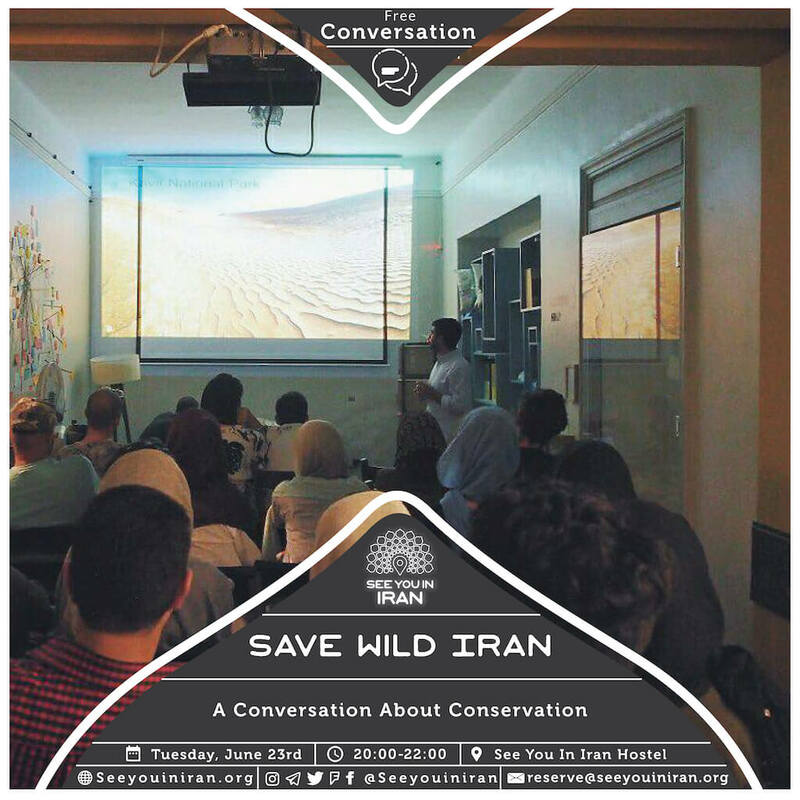 Our cultural house’s “Save Wild Iran” event was an English-language conversation about conservation in Iran with presentations about this country’s ecosystems, its biodiversity, its history of wildlife conservation and its protected areas. Environmentalist Siavash Ghoddousi took us on a visual journey through national parks such as Golestan, Touran and Kavir and described how ecotourism can be a sustainable tool for wildlife conservation. Additionally, Niloofar Bayani from the Persian Wildlife Heritage foundation spoke about her organization’s own work with localized development, spreading awareness and protecting endangered animals. We’re thankful to everyone who attended and hope to continue exploring ecotourism and working with environmentalists in the future.